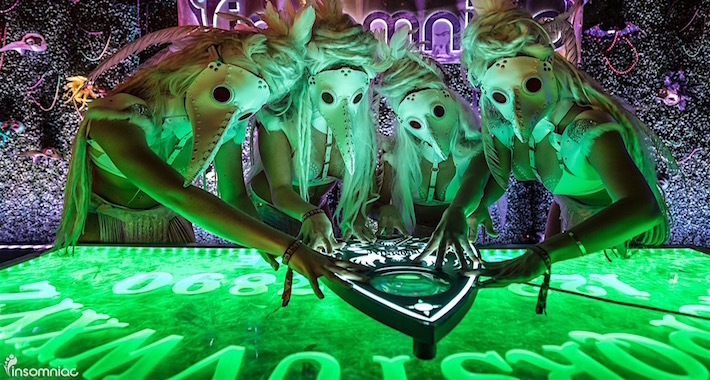 Halloween weekend is a bittersweet holiday for the dance community. 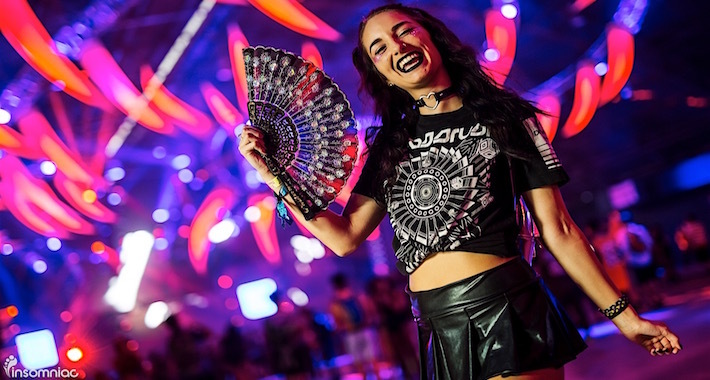 Falling leaves and pumpkin spice lattes mark the end of another festival season, and each year Insomniac’s Escape represents a proper funeral celebration for another decaying montage of music-enriched memories. This past weekend, an autumn crowd of raving revelers gathered an hour east of Los Angeles at the NOS Center in San Bernardino to get rowdy one last time before hanging up the Marshmello costumes in exchange for awkward holiday sweaters. Friday night’s Bassrush Experience at the Chopping Block was a neck-breaking sweatbox, and Spag Heddy had the giant warehouse nearly filled. The standout bass set of the night, it had the entire audience unequivocally bouncing in unison like pistons revving through the wobbles. The unique sound design in his original tunes fused the set together to provide a backbone to the other heavy dub, riddim and drumstep selects. After Spag Heddy, a strong roster of locals lined up behind the CDJs. 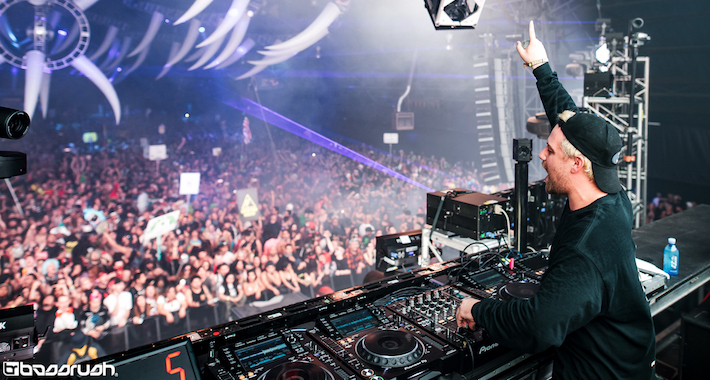 L.A. residents Boombox Cartel, Borgore and Kayzo come from three corners of the bass music spectrum and allowed the night’s sounds to evolve without getting rinsed out. By the time Snails dropped his USB into the system at midnight to churn out material from his recent SNAILEDIT! mix, the room had reached near capacity, and the energy was palpable. Escape’s magnificent stages are an alluring draw to the festival, but they represent only one dimension of a freakish parallel universe. If you meandered outside the various warehouse structures, you’d find an evil imaginarium waiting to be explored. My quest began by crossing the threshold of reality into the future with Virtual Venue, Escape’s new virtual reality booths powered by Grab Games. 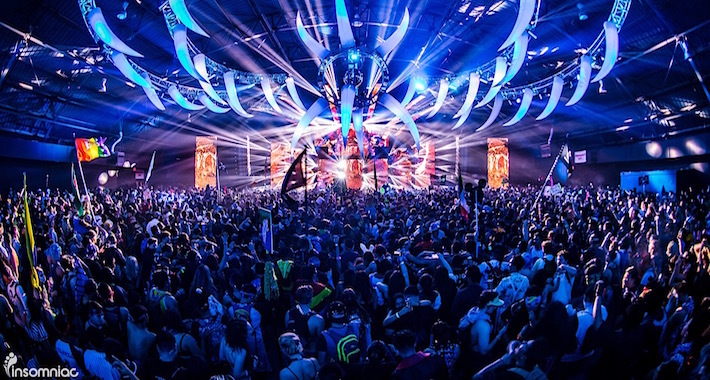 The booths gave Headliners the opportunity to teleport between stages from the DJ’s vantage point behind the decks. “We’ve been working on this for a few years,” said Anthony Borquez, CEO of Grab Games. “We’ve previously only launched video, and tonight is the first time we’ve launched interactivity to the video.” Using handheld controllers and the HTC Vive headset, attendees could virtually engage pyrotechnics, dance with trailing glowsticks, and shoot confetti into the crowd. After flirting with the future, it was time to wander over to the aged, candy-striped tents of the Psycho Circus, where burlesque dancer Erin Bridges took the stage, her flowing white dress draped over a sequined corset that was revealed each time she lifted her finery. She thrust her hips to the saxophone melody of a jazzy number while a gang of speakeasy rejects hounded her to bare more. The circus tents and performers juxtaposed the bright chromatism of Escape’s rave paradise with a desaturated time warp that made for an enthralling respite from the EDM madness outside. A ragtime piano player took the stage next, his face masked by greasy, black hair. As his fingers danced across the keys, Lance Callahan, a video game marketer dressed in an orange astronaut uniform, took a seat in the crowd with his friends. The Circus bled out into the stage areas, with various macabre performers careening their way through the masses. Vainglorious debutants in crimson-stained gowns aimlessly followed their reflections while holding hand mirrors. Undead deep-sea fish bobbed above the pedestrians on stilts. The gothic King and Queen of Escape spun in a medieval palm-to-palm dance while onlookers take pictures. At determined periods of the night, the performers made their way onstage and synchronized their rhythmic movements to the DJs’ performances. The excitement was accentuated in Escape’s VIP village, which flanked the Slaughterhouse stage. Ravers rummaged through a kandi station and organized the beads by shape and color. A group of friends reached out to the spirit world on an illuminated Ouija board the size of a beer pong table. Near the entrance to the VIP viewing area, patrons queued up to get their faces professionally airbrushed for a last-minute costume addition. The attention to detail at Escape was mesmerizing. From every crevice of the festival grounds, it enchanted its crowd with hellacious allurement. It’s no wonder 2016 welcomed another sold-out crowd.